Thank you to everyone who donated to the Diaper Bank of MN and HUG to make this happen. With one in three families struggling to provide adequate diaper changes, the need is great. 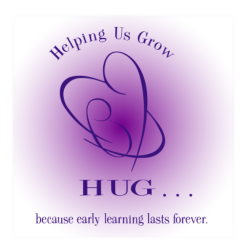 "Week of the Young Child -- April 16 - 20, 2018"
Want to help? Collection sites are needed--please contact 763-504-4981 if you are interested in setting up a collection site during April 2018. One in three families struggle to provide diapers for their children! If you are in need of diapers, please go to our "Contact Us" page and fill out the request form. NEED DIAPERS? If you are in need of diapers, please click on this link to request diapers in the size you need. Diapers cannot be obtained with food stamps. No state or federal child safety-net program allocates dollars specifically for the purchase of diapers. Without transportation, buying diapers at a convenience store rather than a large “big box” store can significantly increase the monthly cost of diapers. Babies who sit in soiled diapers are prone to chronic diaper rash. The symptoms include bleeding, itching and an oozing rash. There is burning feeling and pain when babies urinate of have a bowel movement. Chronic Diaper rash is often accompanied with a fever. This can be prevented by simply supplying children the clean diapers they need.